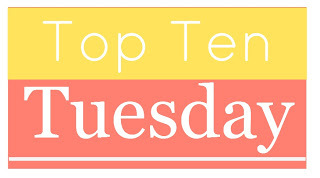 This entry was posted in top ten tuesday and tagged books, Top 10 Tuesday, Top Ten Tuesday by Alison Doherty. Bookmark the permalink. I’d definitely like to join your YA contemporary class. Looks like it would be fun! I haven’t read any of these yet but both Anna and the French Kiss and Eleanor and Park are on my TBR. This would be a fun class! I don’t read a lot of contemporary; I haven’t read any of these at all! I would like to try one of Rainbow Rowell’s books at some point, though. Awesome class! I actually had a high school teacher who wanted to teach Wallflower but it got shot down, so we read it as part of the “literary club” after school.